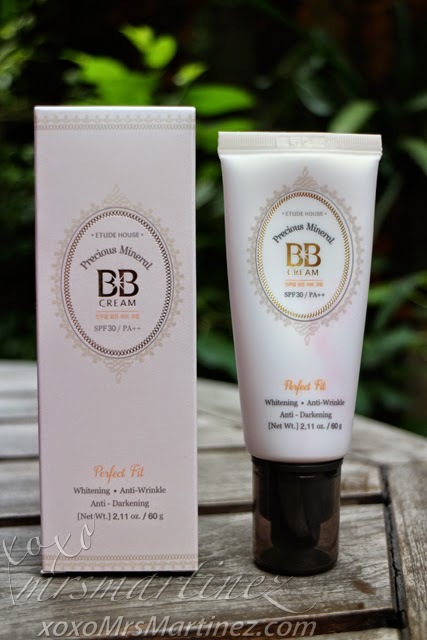 I am so excited to share with you Etude House's latest product- Precious Mineral BB Cream Perfect Fit with SPF30 PA++ in Natural Beige. 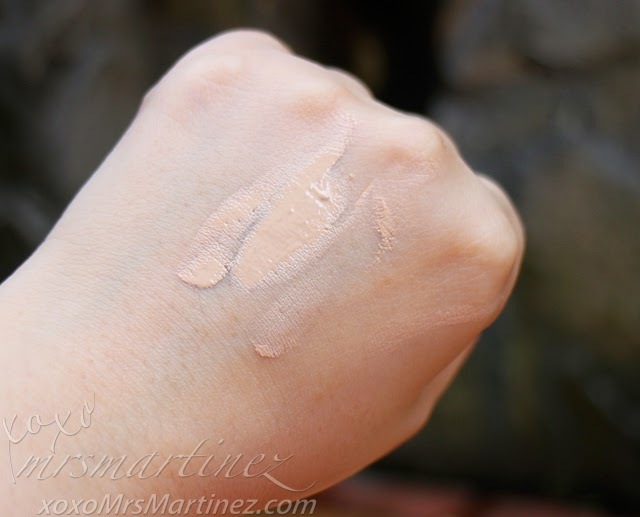 When I saw the shade found on top of the box, I thought Natural Beige was a tad too dark for me so I requested the SA to swatch the product at the back of my hand. The product blended well and matched my skin color so I took it home along with other Etude House products with a happy, smiling face. 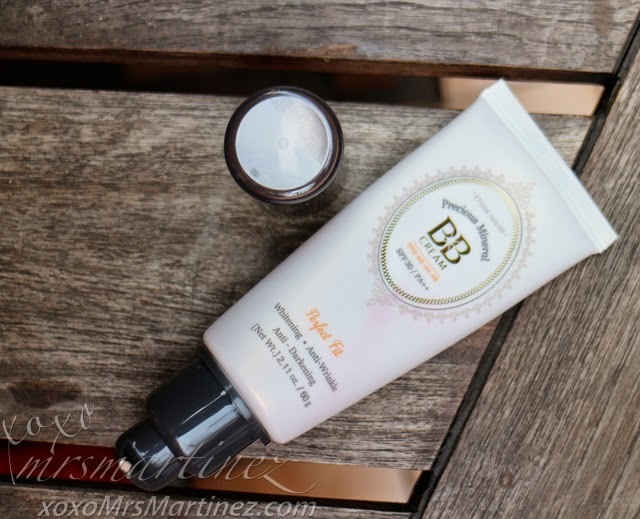 The photo above shows Precious Mineral BB Cream Perfect Fit applied on the bottom half part of my face. After the product was blended, the after photo is shown below. The base color is a bit peachy not pinkish. As a result, it tones down the redness of my face. It gives even and light to medium coverage. Just enough to cover the redness and blemishes. 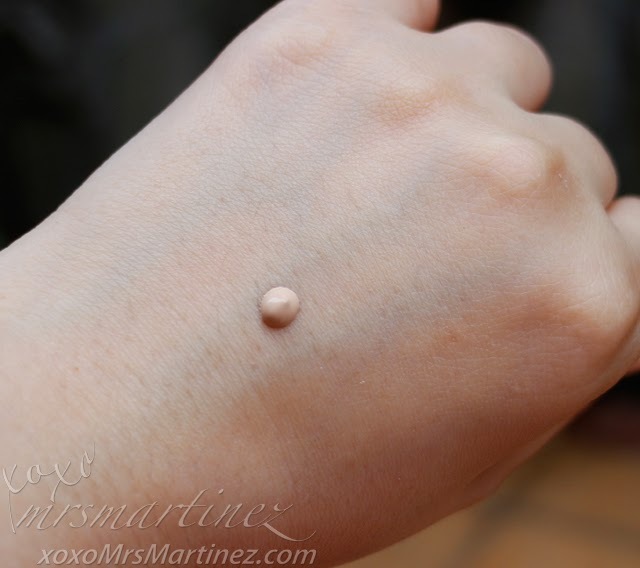 It contains pearl ingredients that brightens up my skin, giving it a luminous glow. I tried wearing it for a couple of days, there's no itchy or heavy feel. Best of all, it contains Titanium Dioxide, you can be assured of sun protection while wearing this product from sun up to sun down. With its super blendable formula, I don't need moisturizer before application. Aside from that, it has whitening, anti-wrinkle and anti-darkening formula, perfect for women my age! To read my review on other Etude House products- Baking Powder Cleansing Foam Moist and Pure Water Baobab Moist Skin, read here.